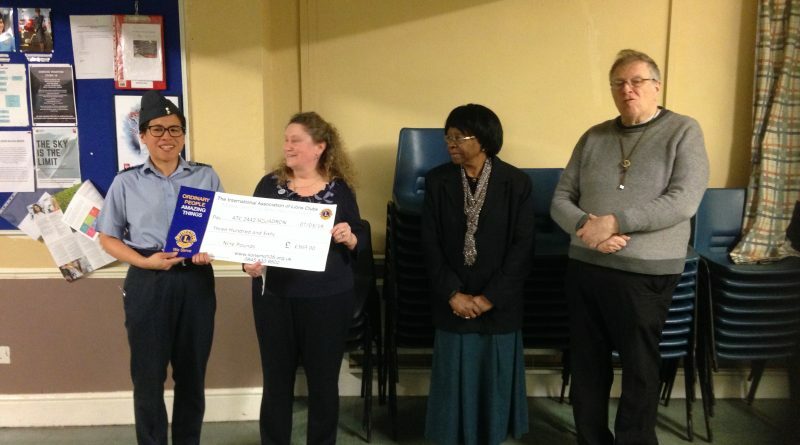 In March 2019 Bristol Brunel Lions Vice President Julia along with Nellie and John presented a cheque for £369.00 to Commanding Officer Natalie Wong of the ATC 2442 Squadron, Westbury-on-Trym. This donation was to thank them for their help over the Christmas period. The Squadron have provided Brunel Lions with additional collectors for their Carol Float for many years. This is another example of Brunel Lions working with young people in our local community. We wait to see how the monies will be spent this year. Last year our donation paid for flight simulator training for several Cadets at Bristol airport, previously we have provided funds for the purchase of outdoor equipment and musical instruments. Following the presentation the Cadets carried on with their regular Thursday training activities whilst the Lions members went for a curry! Copyright © 2019 Bristol Brunel Lions. All rights reserved.